How to watch El Chapo: Season 3 (2018) on Netflix Netherlands! 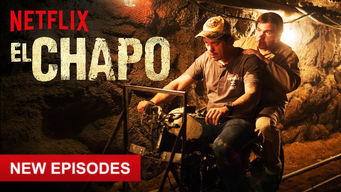 Yes, El Chapo: Season 3 is now available on Dutch Netflix. It arrived for online streaming on July 27, 2018. We'll keep checking Netflix Netherlands for El Chapo: Season 3, and this page will be updated with any changes. This drama series chronicles the true story of the rise, capture and escape of notorious Mexican drug lord Joaquín "El Chapo" Guzmán. Driven by ambition and a need for respect, El Chapo's ascent as a drug lord is strewn with violence. Season 1 of El Chapo has 9 episodes. Because different Netflix countries have different availability for episodes, you'll need to check the episode listing below to see which are available in the Netherlands. Chapo desires to achieve patron status and feels disrespected as he tries to collaborate with drug lords. Miguel Ángel must make a decision. The Mexican government recruits Amado to help control the escalating violence. The Avendaño brothers cross a line. 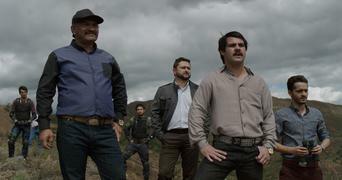 Ramón brings in a group of sicarios in a hunt for El Chapo. A mass shooting at an airport arouses suspicion and a prominent cardinal dies. The government offers a reward for the capture of El Chapo, and he is forced to go into hiding while making plans to flee the country. 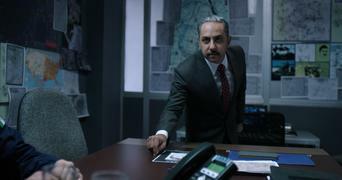 Don Sol feeds information to Gabriela as she looks for a victim to go on the record against Gen. Blanco. Chapo meets with a drug lord in Guatemala. 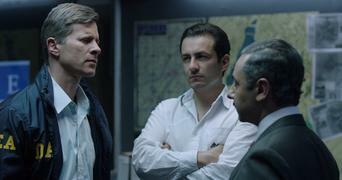 Don Sol continues to work his way up the political ladder and interrogates El Chapo, who offers him information in exchange for a deal. Violence surrounds Gen. Blanco. El Chapo tries to acclimate to life in prison but gets a rude awakening when he tries to bribe a guard. El Chapo reflects on his childhood and how he entered the drug business. His punishments in prison become more severe. Season 2 of El Chapo has 12 episodes. Because different Netflix countries have different availability for episodes, you'll need to check the episode listing below to see which are available in the Netherlands. 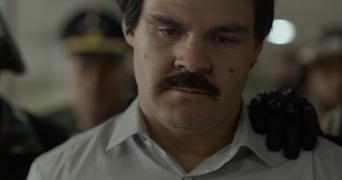 Two years after his arrest, El Chapo is transferred to a lax prison, where he promises Don Sol he'll get rid of the Avendaños in exchange for freedom. El Chapo sets in motion an elaborate plan to escape from prison. 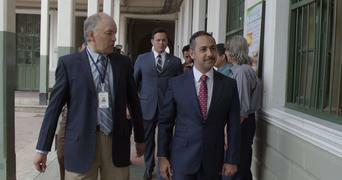 A new Mexican president delivers a blow to Don Sol, who scrambles to recover. A bug planted in his son's car reveals El Chapo's location to special forces. To lure Ramón Avendaño into an ambush, El Chapo coerces one of his men. When Raciel refuses to join the federation, El Chapo enlists the Federales and army to arrest him and battle the Gulf Cartel militia for its turf. After Chente settles a painful score with him, El Chapo carefully chooses a reaction that earns him another ally in his war against the Gulf Cartel. When an anti-corruption presidential candidate becomes the 2006 front-runner, Don Sol makes a deal with his opponent. A teen catches El Chapo's eye. With the arms and troops given to him by the new Mexican president to conquer the Gulf Cartel, El Chapo decides to kill two birds with one stone. Teens and young adults are kidnapped in Nuevo Laredo and forced to work for the warring cartels. A mother travels to Culiacán to search for her child. Risking his life, Arturo meets with Chente and El Cano to negotiate peace. When Quino is arrested, El Chapo commits a betrayal to get his son released. 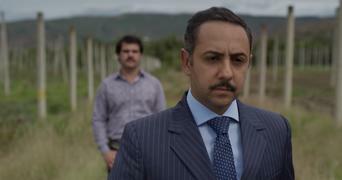 El Chapo's son El Moreno finally gets a chance to prove himself in the business, but he ignores an important instruction from his father. El Chapo's enemies take advantage of his time of grief. Arturo becomes paranoid and consults a fortuneteller to determine who he can and cannot trust. Back in Culiacán with renewed resolve, El Chapo sets out to eliminate his enemies one by one. Don Sol gets a dream offer, but with a strict condition. Season 3 of El Chapo has 13 episodes. Because different Netflix countries have different availability for episodes, you'll need to check the episode listing below to see which are available in the Netherlands. The DEA is alarmed by the expansive growth of El Chapo's drug empire. Don Sol forges a new alliance to further his career. El Chapo is thrilled about his Forbes list placement until a betrayal brings down one of his best men. Don Sol finds himself in a new relationship. Don Sol tells El Chapo about his new alliance. The DEA hunt continues and public pressure mounts for an investigation into Mayel's claims. Berta and Don Sol each try in their own way to deal with their latest problem. Elba shares exciting news with El Chapo as the authorities close in. 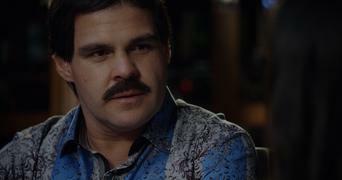 El Chapo tries to keep his promise to Elba, but when Graciela is compromised, he informs her of his new plan. Mexico votes for its new president. Gov. 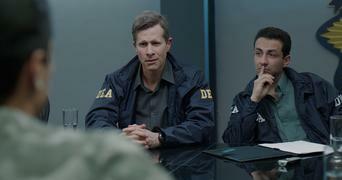 Jorge del Toro is linked to the Sinaloa Cartel and the DEA puts pressure on Esteban Prieto and Don Sol to capture El Chapo. An isolated El Chapo tries to build a friendship with a guard. Berta and Don Sol worry about their futures as a political scandal affects Prieto. With El Chapo incarcerated, a power struggle occurs between Quino and Dámaso, with each man insisting he's the one in charge of the Sinaloa Cartel. After seeing an interview in which a famous actress speaks favorably about him, El Chapo demands a meeting. Meanwhile, tunnel construction continues. The world reacts to El Chapo's escape. The drug kingpin reveals his successor and tells his men to stop fighting. Berta gets angry at Don Sol. El Chapo tells Vanessa how he thinks his Hollywood film should end. Don Sol investigates his wife to find something he can use to keep her in line. Gunfights ensue as El Chapo tries desperately to avoid being captured and extradited. Don Sol's ambitions drive him to a dark place.